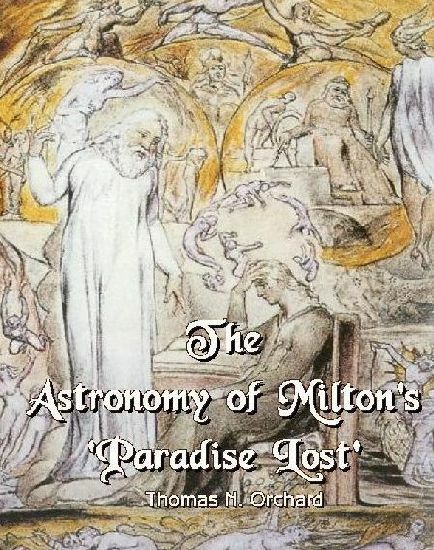 Many able and cultured writers have delighted to expatiate on the beauties of Milton's 'Paradise Lost,' and to linger with admiration over the lofty utterances expressed in his poem. Though conscious of his inability to do justice to the sublimest of poets and the noblest of sciences, the author has ventured to contribute to Miltonic literature a work which he hopes will prove to be of an interesting and instructive character. 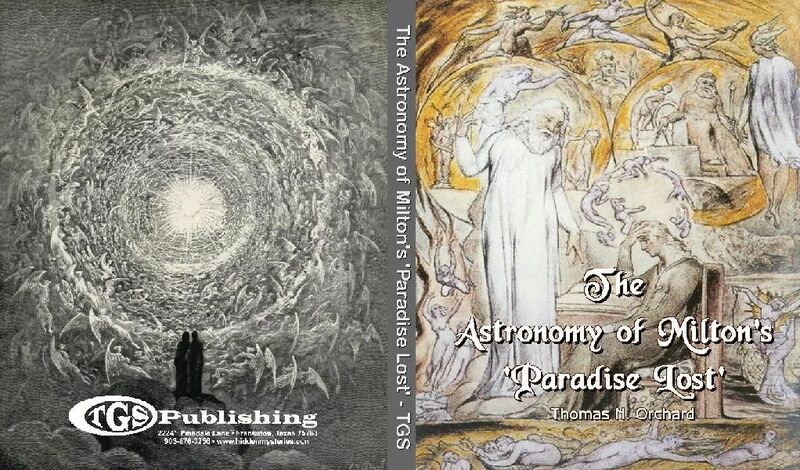 Perhaps the choicest passages in the poem are associated with astronomical allusion, and it is chiefly to the exposition and illustration of these that this volume is devoted. Astronomy is the oldest and most sublime of all the sciences. To a contemplative observer of the heavens, the number and brilliancy of the stars, the lustre of the planets, the silvery aspect of the Moon, with her ever-changing phases, together with the order, the harmony, and unison pervading them all, create in his mind thoughts of wonder and admiration. Occupying the abyss of space indistinguishable from infinity, the starry heavens in grandeur and magnificence surpass the loftiest conceptions of the human mind; for, at a distance beyond the range of ordinary vision, the telescope reveals clusters, systems, galaxies, universes of stars-suns-the innumerable host of heaven, each shining with a splendour comparable with that of our Sun, and, in all likelihood, fulfilling in a similar manner the same beneficent purposes. The time when man began to study the stars is lost in the antiquity of prehistoric ages. The ancient inhabitants of the Earth regarded the heavenly bodies with veneration and awe, erected temples in their honour, and worshipped them as deities. Historical records of astronomy carry us back several thousand years. During the greater part of this time, and until a comparatively recent period, astronomy was associated with astrology-a science which originated from a desire on the part of mankind to penetrate the future, and which was based upon the supposed influence of the heavenly bodies upon human and terrestrial affairs. It was natural to imagine that the overruling power which governed and directed the course of sublunary events resided in the heavens, and that its decrees might be understood by watching the movements of the heavenly bodies under its control. It was, therefore, believed that by observing the configuration of the planets and the positions of the constellations at the instant of the birth of an individual, his horoscope, or destiny, could be foretold; and that by making observations of a somewhat similar nature the occurrence of events of public importance could be predicted. 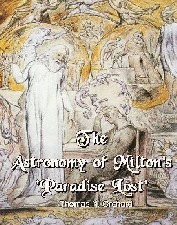 When, however, the laws which govern the motions of the heavenly bodies became better known, and especially after the discovery of the great law of gravitation, astrology ceased to be a belief, though for long after it retained its power over the imagination, and was often alluded to in the writings of poets and other authors.In the early dawn of astronomical science, the theories upheld with regard to the structure of the heavens were of a simple and primitive nature, and might even be described as grotesque. This need occasion no surprise when we consider the difficulties with which ancient astronomers had to contend in their endeavours to reduce to order and harmony the complicated motions of the orbs which they beheld circling around them. The grouping of the stars into constellations having fanciful names, derived from fable or ancient mythology, occurred at a very early period, and though devoid of any methodical arrangement, is yet sufficiently well-defined to serve the purposes of modern astronomers. Several of the ancient nations of the earth, including the Chaldeans, Egyptians, Hindus, and Chinese, claim to have been the earliest astronomers. Chinese records of astronomy reveal an antiquity of near 3,000 years B.C., but they contain no evidence that their authors possessed any scientific knowledge, and they merely record the occurrence of solar eclipses and the appearances of comets. It is not known when astronomy was first studied by the Egyptians; but what astronomical information they have handed down is not of a very intelligible kind, nor have they left behind any data that can be relied upon. The Great Pyramid, judging from the exactness with which it faces the cardinal points, must have been designed by persons who possessed a good knowledge of astronomy, and it was probably made use of for observational purposes. It is now generally admitted that correct astronomical observations were first made on the plains of Chaldea, records of eclipses having been discovered in Chaldean cities which date back 2,234 years B.C. The Chaldeans were true astronomers: they made correct observations of the risings and settings of the heavenly bodies; and the exact orientation of their temples and public buildings indicates the precision with which they observed the positions of celestial objects. They invented the zodiac and gnomon, made use of several kinds of dials, notified eclipses, and divided the day into twenty-four hours. To the Greeks belongs the credit of having first studied astronomy in a regular and systematic manner. THALES (640 B.C.) was one of the earliest of Greek astronomers, and may be regarded as the founder of the science among that people. He was born at Miletus, and afterwards repaired to Egypt for the purpose of study. On his return to Greece he founded the Ionian school, and taught the sphericity of the Earth, the obliquity of the ecliptic, and the true causes of eclipses of the Sun and Moon. He also directed the attention of mariners to the superiority of the Lesser Bear, as a guide for the navigation of vessels, as compared with the Great Bear, by which constellation they usually steered. Thales believed the Earth to be the centre of the universe, and that the stars were composed of fire; he also predicted the occurrence of a great solar eclipse. Thales had for his successors Anaximander, Anaximenes, and Anaxagoras, who taught the doctrines of the Ionian school.